You have decided to put your house up for sale. You may be downsizing or taking a job in another city so you need to sell the house quickly. What can you do to get your house noticed first by potential buyers? Here are a few tips that can help. When your home is put on the market the first thing potential buyers will see is the view of the house from the street. Make it appealing so people will want to see more. A few simple things like mowing the lawn, removing clutter, and adding a few plants to make the entrance more appealing can make a huge difference. Wash the windows and add a fresh coat of paint or stain to the entrance door and floor of the porch if needed. Porch furniture can help to create an inviting look to the home. Make sure the outside lights work in case someone comes by in the evening for a look. The inside of your home needs to be cleaned from top to bottom. Of course you keep your home clean but now is the time to make the home sparkle. This is an essential aspect to selling the home so you may want to consider hiring help. Replace broken items such as cabinet handles. Repaint rooms using a neutral color especially if they have been specifically painted for teenagers. Removing clutter is another important step in getting the home ready to sell quickly. Rooms should contain only essential items and everything should be placed to emphasize the space and layout of the home. This includes cleaning out closets, pantries, and cupboards. You may have to rent a storage but all furniture or other décor that is not necessary should be removed. The object is to make the home as spacious as possible to appeal to the most people and allow them to envision it with their belongings. More people are enjoying spending time outdoors. If your home has a patio or deck make sure it is clean and add a few things to show the potential of the area. If you don’t already have one or it has succumbed to the weather, a new outdoor table and chairs will spruce up this area and allow potential buyers to envision spending time here. One of the most important things when it comes to selling your house quickly is the price. You don’t want to price it too low or too high. Getting an expert opinion on the best asking price based on similar homes in your area can help you to decide. Homes are generally priced a little higher than the price that is desired to leave room for bargaining. Showing your home in the best possible light is the best way to attract potential buyers. 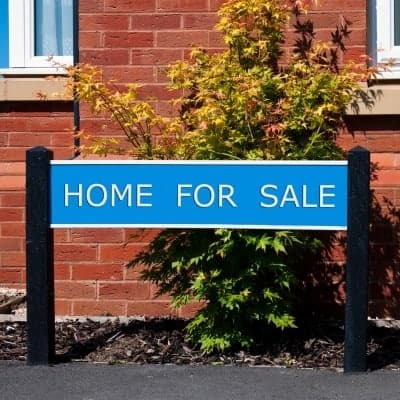 If you need to sell your house quickly please call us at 014959020 today.